Heartland Fire Protection Service is Northeast Nebraska’s leading full service fire protection services company, with offices in Norfolk and Columbus. We are a family owned and operated business with over 20 years of experience. Our product and service lines include the sale, installation and service of kitchen hood and suppression systems; fire alarm systems; fire extinguishers; and industrial suppression systems. Added value services are fire and safety code compliance evaluations and staff training. Heartland is an Amerex and Ansul Fire Protection Equipment factory authorized distributor. Fire extinguisher inspections should take place on a monthly basis, for both homes and businesses. This ensures that extinguishers are in working condition in case of emergency. Always be sure that seals are intact and fire extinguishers are within easy access. Heartland Fire Protection offers inspection, maintenance and installation services. 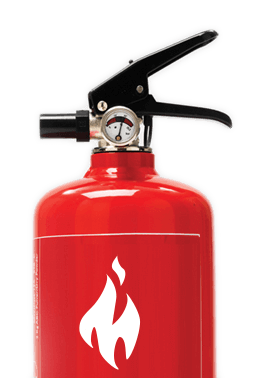 We also offer many different brands of fire extinguishers with a variety of features. Heartland Fire takes great care in making sure each piece of kitchen equipment is safe. This fire protection service provider offers kitchen hood design and installation. Pre-engineered kitchen systems are also available through Heartland Fire. Water is not always the right choice when extinguishing a fire. Certain equipment, such as IT systems, will be further damaged when water is used to extinguish a fire. A Clean Agent System will be able to extinguish a fire before it can spread. Clean Agent fire extinguishers vaporize gas cleanly without leaving a residue. Heartland Fire Protection offers inspections, service and sales for Clean Agent Systems. Heartland Fire is professionally certified to service fire alarm systems. These fire alarm systems can be installed to use in restaurants, body shops, healthcare facilities, schools, apartments, and many other types of businesses. Alarms are able to detect gas and include emergency lighting. Heartland Fire offers several different brands to select from when choosing a fire alarm for your location. To stay competitive in today’s restaurant industry, many new food preparation techniques are being introduced into kitchens everywhere. Safety features should be installed to ensure that customers and restaurant employees are protected. These systems are also known as pre-engineered industrial systems. Without a working kitchen hood and duct fire suppression system in a restaurant kitchen, owners are putting employee and customer lives at stake. Contact Heartland Fire Protection for sales, installation, service, inspection and maintenance of these pre-engineered industrial kitchen systems. For an off-road commercial vehicle, such as construction equipment, road maintenance equipment or your child’s school bus, a fire is not only life-threatening, but could destroy an expensive, hard-to-replace vehicle. These fires often start in parts of the vehicle where the operator cannot see smoke or flames until it is too late. Heartland Fire Protection’s off road vehicle fire protection systems will warn the driver and suppress the fire, protecting both the equipment and employees. Heartland Fire Protection offers the right vehicle fire protection system for any application. Contact Heartland Fire Protection for inspections, service, maintenance and sales for Off Road Fire Suppression Systems. Emergency lights are designed to guide your employees and customers to safety in the event of a fire or a power outage. These devices are specifically designed to save lives. Heartland Fire Protection can install emergency lighting directly into a fire alarm system. This emergency lighting will automatically turn on when the primary source of power goes out. Heartland Fire Protection Company follows a strict code of compliance when evaluating and inspecting each type of fire extinguisher. No fire extinguisher can be safely and effectively used for every type of fire. To prevent confusion, extinguishers are classified by the type of chemical agents they contain and the type of fire they are to be used on. Heartland Fire Protection ensures that each piece of safety equipment in your home or business meets the specifications for the type of fire they are designed to extinguish. Heartland Fire Protection Company can assist your business with creating a fire and safety training plan.